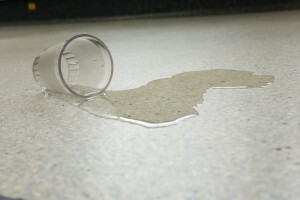 A slip trip claim can occur in the street or any public building. If you are unlucky enough to suffer from a slip trip or fall through no fault of your own, then you could be entitled to make a claim for compensation. The amount you receive would be based on the extent of your injuries and the impact they have on your life. One of the biggest reasons for slip trip claims are wet and slippery floors or uneven surfaces. In public buildings it is usually the result of spillages which haven’t been correctly cleared up. Under the Occupiers Liability Act the occupiers of a building has a duty to keep you safe if you are a lawful visitor to the premises. Eg. shop owners have a duty to shoppers. It may be possible for an occupier to discharge their duty by giving a warning of the danger. You may have fallen on the street as a result of an uneven pavement. 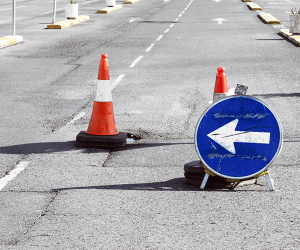 The Council has a duty to maintain highways under the Highways Act 1980. It outlines the definition of a highway and the different approaches for highways repairable at the public expense and for private highways. 4) highway authorities have a duty to clear the highway of snow and ice. 3) inevitable accident or act of God. Whatever the cause of the problem, if you had an accident and it wasn’t your fault, then you may have the right to make a claim for compensation. Always take photographs and measurements for your slip trip claim. Report the incident at the time. Take advice on your injury from the walk in centre or GP or A&E. Take a note of the names and addresses and phone numbers of any witnesses.Keep any receipts for prescriptions, other medical care and travel costs, as these could all be part of your claim for compensation. We can help you bring a slip trip claim. We offer a straightforward no-win no-fee service. Speak to a Solicitor today by calling us on 0845 676 9228, contact us here or alternatively use our enquiry form on the right.